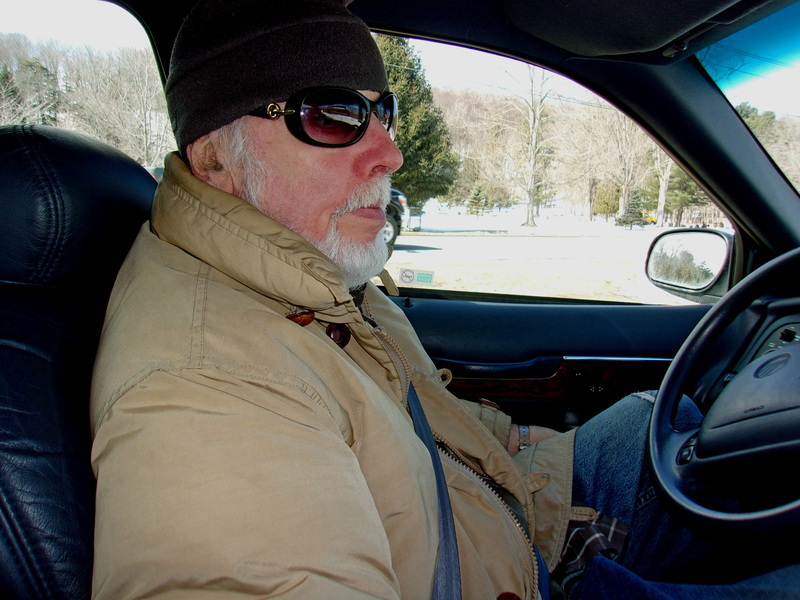 I was driving Donna back home from Albany airport when she took this picture of me with her pocket digital camera. On the drive home I saw the late afternoon sun on some farms along the way. I stopped at one and then another and another in only few minutes. I took some quick pictures of each farm place with Donna’s camera. I was on Gerry road and then Center Cambridge road. I just stopped my car and braced the camera on the roof of my car to get three late sun pictures of three farms. We need farms. 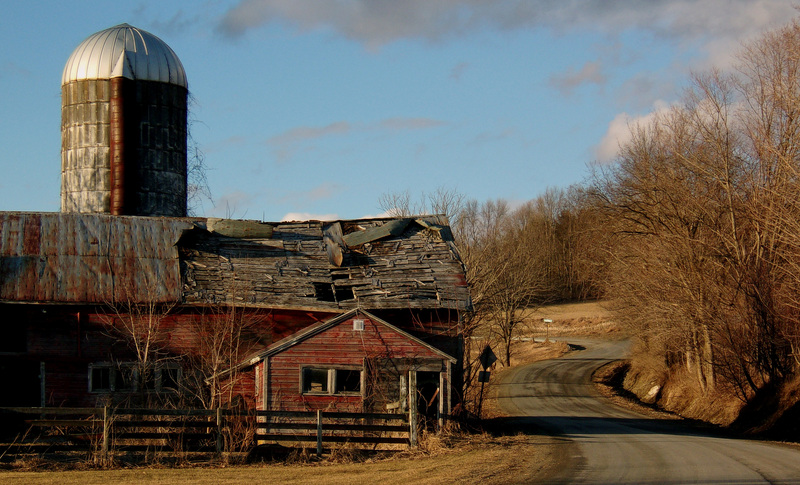 It is so sad to me to see that some of our farms are not maintained the way they should be. We can only live with a kind of balance on our earth between Nature and all the technology we have developed in the area of farming. We don’t need silos anymore. These are the only thing any artist will want to paint alongside a farmhouse. It is fine that we are developing in this way to feed us all … but … Something is wrong. 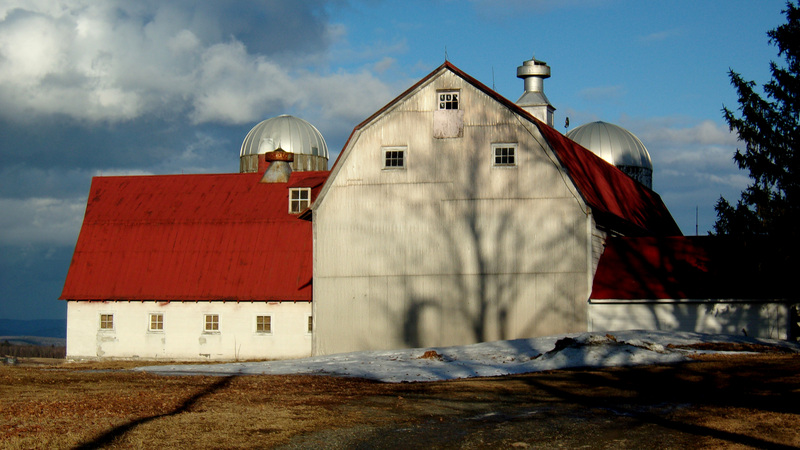 Can we get some more historical land preservation monies for the restoration and maintenance of our most picturesque farms ? For this reason alone ? People still living on these farms would like this. This would be like a special farms retirement social security. We need to preserve these. 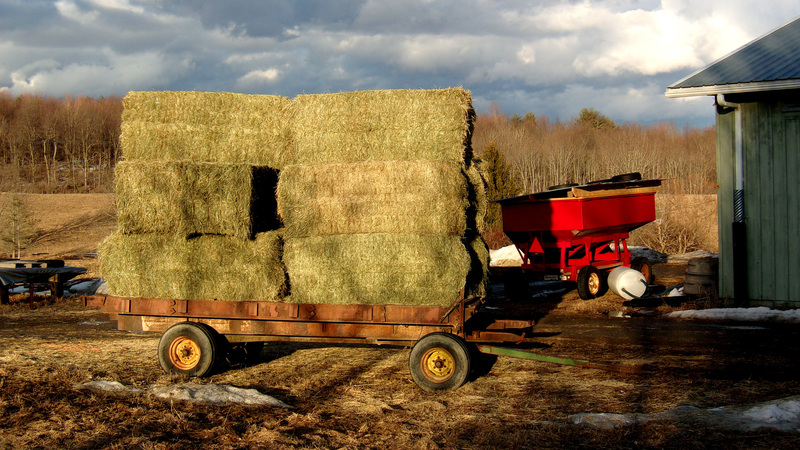 This issue is like the steeple churches in all of our older farm towns. If these are gone what would the basic landscape our towns look like ? New Film in my gallery theater ! I get DVD films from a client Santa Monica CA. I also get threats from this person to share with my erstwhile theater visitors. I got See’s Chocolates, for instance, for my theater visitors. “The Return of the Pink Panther” is my film for the next two Saturdays. This may the funniest picture I have ever seen ? Show time is 2;30pm Saturday April 18 and 25 2015. I serve popcorn, bottled water and coffee and you can bring something ! Why ? You will experience this film better than ever. I have three screens and 16 speaker surround sound. Why again ? No charge. I just like the way I set this theater up and want to share it.